It was a delicate operation.. 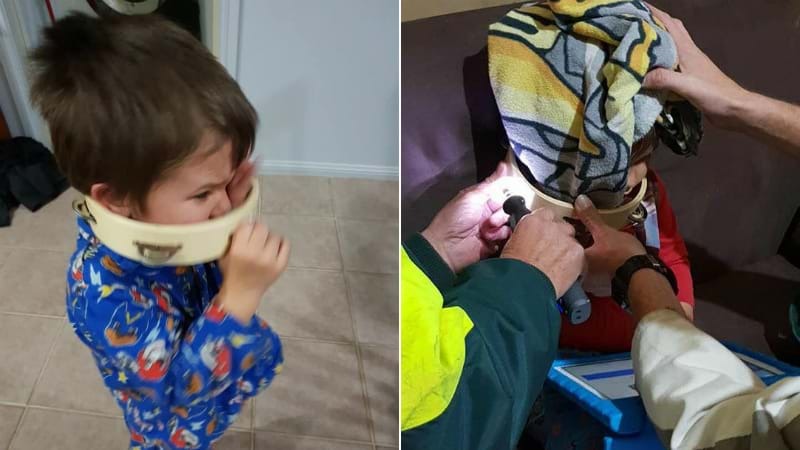 The Cessnock District Rescue Squad had a delicate job last night, after a young boy got a tambourine stuck on his head. They were called out to a house in Cessnock by his mother, where they found little Heath with the musical instrument stuck around his neck. The squad's volunteers managed to get it off by carefully cutting through the wooden rim of the instrument using a dremel tool with a wood cutting disc. "A towel was used as protection against any fine particles as well as deadening the noise a little," the Rescue Squad said. "He was constantly being reassured by our team and also sidetracked by his iPad during the process."